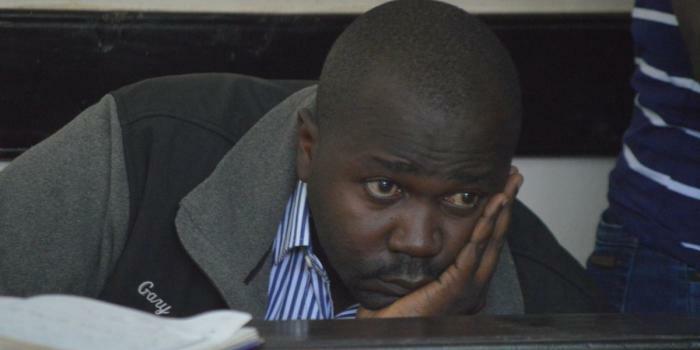 Wednesday September 12, 2018-Migori Governor Okoth Obado’s Personal Assistant, Michael Oyamo, who is the chief suspect in the murder of Rongo University student, Sharon Otieno, has been dealt a severe blow after a Nairobi court denied him bail. The court ruled that Oyamo will remain in custody for two more weeks as investigations into the death of Sharon Otieno continue. In his ruling on Wednesday morning, Judge Luka Kimaru agreed with the prosecution saying that it was only fair that the suspect be remanded. He held that if released, Oyamo may interfere with the witnesses and in the process collapse the case altogether. However, Kimaru allowed Oyamo his rights to visitation, access to his counsel and food while in police custody. “After 14 days he should be brought to court either to be charged or released,” Judge Kimaru ruled.